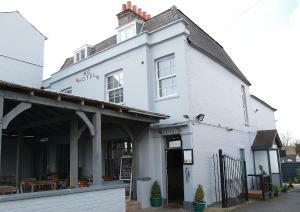 The Angel Inn Hotel Surbiton is located just 5 minutes’ walk to Surbiton Railway Station and the town centre. 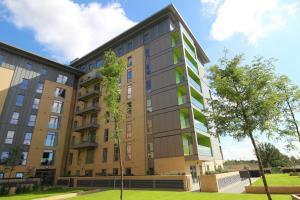 It offers en-suite accommodation with ..
Shepherd's Bush Flats is located 15 minutes’ walk from Shepherd’s Bush Market and Goldhawk Road Tube Stations. 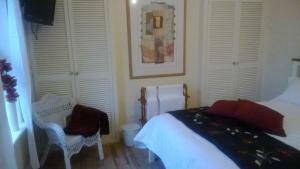 It offers self-catering accommodati.. Located in Kingston upon Thames, 600 metres from Hampton Court Palace, HC Hotel features air-conditioned rooms and free private parking. Guests can en.. Situated between junctions 9 and 10 of the M25 motorway, Days Inn Cobham features free on-site parking and a 24-hour reception. A bar is also availabl.. 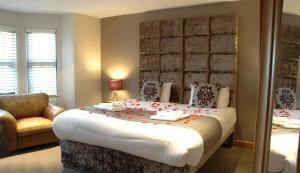 The Woking Hotel offers accommodation in Woking. Every room includes a flat-screen TV. You will find a kettle in the room. All rooms come with a priv.. Situated next to the Grand Union Canal, Old Oak Tree Inn is set in a traditional English pub which offers a large car park, a garden and an on-site re..
Shepperton B&B is set in Shepperton, 26 km from London and 14 km from Windsor. 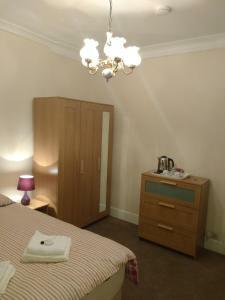 The rooms are fitted with a flat-screen TV and DVD player. You will fi.. Situated in the historic town of Aldershot, a 10-minute drive from Farnborough and from Farnham, Aldershot House offers rooms with free Wi-Fi and free..
Just 5 minutes' drive from Heathrow Airport, Apple House offers rooms with free Wi-Fi and limited parking is also available free of charge during your.. 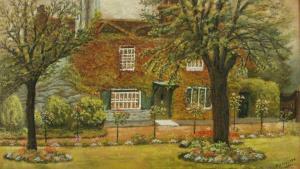 The elegant 1 Park Row offers stylish bed and breakfast in the centre of Farnham, just 4 minutes’ walk from Farnham Park. 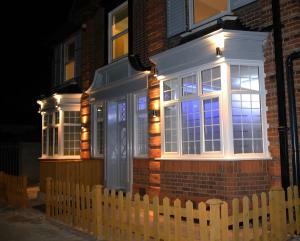 Close to the town’s rest..
Acton Lodge Guest House offers accommodation in London. All rooms are fitted with a flat-screen TV. You will find a kettle in the room. Every room in.. 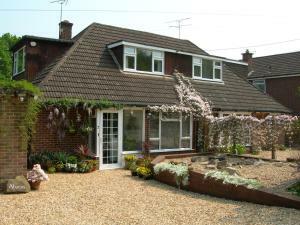 Situated in the village of Stratfield Mortimer, Little Park Farm is just 9 miles south of Reading. 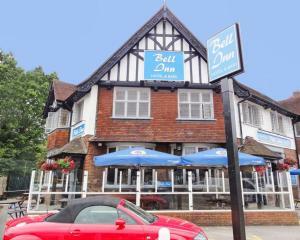 The bed and breakfast offers free WiFi access and f..
Set in Ruislip, 21 km from London, Bell Inn features free WiFi access and free private parking. Guests can enjoy the on-site restaurant. 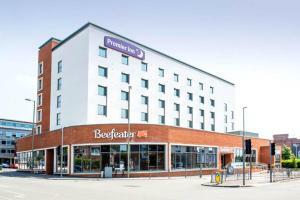 The rooms in..
Premier Inn Farnborough Town Centre offers accommodation 4.4 miles from the army town of Aldershot. St Michael's Abbey and Monastery is 800 metres fro.. 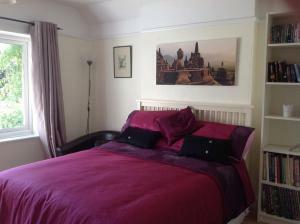 Within a 10-minute drive of London Heathrow Airport terminals 1-5, Swan Guest House LONDON - HEATHROW provides well-appointed accommodation in the cen.. Featuring free WiFi throughout the property, The Wheatsheaf offers pet-friendly accommodation in Bramley, 45 km from London. Guests can enjoy the on-s..